It can be very overwhelming when it comes to dieting. There are hundreds, even thousands of diet plans. Some include fasting, some say eating one meal per day will help you lose weight, and some say eating low fat and high carb will help you lose weight. Still, others want you to count calories or points or each almond, peanut or sunflower seed you eat. Although some of these sound a bit outrageous, many people have clung to their hard and fast rules, only to find that it isn’t working for them. The main reason diets don’t work is because we need to look at them as a long-term lifestyle change and not a temporary “diet” or quick fix. Chemicals that show up on non-organic produce can be a contributor to your weight problems. Chemical baths, sprays and pesticides can ruin any weight loss program. These chemicals are known to cause food cravings, bloating, headaches, and yes, weight gain. Also, hormones in animal products are known to disrupt your own natural flow of hormones, which can lead to weight gain and many other health related issues. This is why it is so very important to eat organic, non-genetically modified foods, and pasture raised, meats and dairy. Once you shift over to these much healthier options, you will notice a much healthier you. What is the Silver Cloud diet? The Silver Cloud diet is a revolutionary and sustainable diet for the 21st Century. It is a scientifically proven program that helps people lose weight. Not only is weight loss the goal but along with that, it can significantly reduce your risk of heart attack, stroke, Alzheimer’s, Parkinson’s disease and Diabetes. 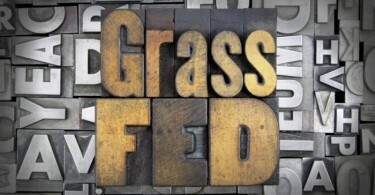 The diet itself is based on eating unprocessed food with good amounts of fat and protein. While it will improve blood chemistry panels, it is also used to regulate blood sugar, increase satiety and control cravings. You should be prepared to know that all processed food, refined carbohydrates, sugars, and diet foods will not be consumed on this plan. Also, you may want to be prepared to lose up to 15 pounds the first few weeks. Once certain foods are removed, your body becomes extremely efficient at burning fat for fuel, so do not be surprised at howquickly the weight loss will occur. The first stage of this lifestyle plan focuses on organic meats, poultry, wild fish and eggs, along with some organic dairy. After achieving the desired results, you would then move on to the next phase, allowing you to enjoy specific fruits, veggies, and certain grains, all organic, of course. Once you have gotten use to eating in a whole new way, you should notice a significant change in your weight and general health. Many individuals have increased energy and clearer thinking along with weight loss; this is completely normal and is all good! In the Silver Cloud Diet book, there are many easy to follow recipes that will make your meal planning a whole lot easier. 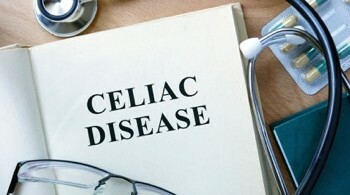 Were you just diagnosed with Celiac Disease or Gluten Intolerance?